Potbelly Sandwich Shop is known all over the country as a good place to get a high-quality sandwich. Fresh ingredients, milkshakes adorned with cute little cookies, and a conveyor belt toaster are all great building blocks for our next foray into the world of secret menus. When a restaurant already gives you a ton of options for stacked sandwiches and handmade ice cream treats, an underground secret menu is soon to follow. Potbelly's secret menu was one of the most popular entries I encountered during my research, and that makes it the next stop on the ridiculous food train. Derrick, the general manager, indulged every request with a smile, putting together everything I came up with for our experiment. "If you want fresh food, good service and a fun environment, there's no other place to go BUT Potbelly," he said, handing me our first sandwich. In addition to great food, he explained, they also have live music on the weekends. "You can find local talent -- solo acts -- at Potbelly most weekend evenings. You know, we like to jazz the place up!" I get a feeling that Elvis would have loved this sandwich. Toasted multi-grain bread is smeared with peanut butter, layered with banana, and topped with bacon. Not my favorite, but I could see how peanut butter lovers would definitely like this one. The bananas just mellowed out the creamy stickiness of the spread, and bacon provided a nice salty counterpoint. This is what you get when you take the signature Wreck sandwich -- full of cold cuts on its own -- and load it up with meatballs. This bad boy was definitely a keeper. Surprisingly, it's not that overwhelming once you get over how tall it is. The meatballs are a nice, smoky addition to an otherwise excellent Italian-type sub. Order an Oreo shake with vanilla ice cream. 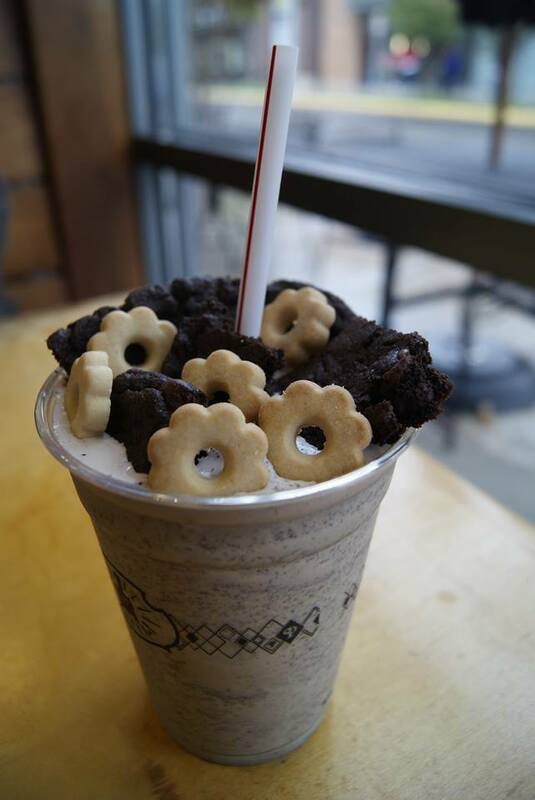 Buy a chocolate brownie cookie and ask them to blitz half of it in the shake, then decorate the top with cookie shards. Instead of a lid, have them top off your creation with their tiny shortbread cookies, and dig in. Probably the simplest hack of all, this was by far our favorite. 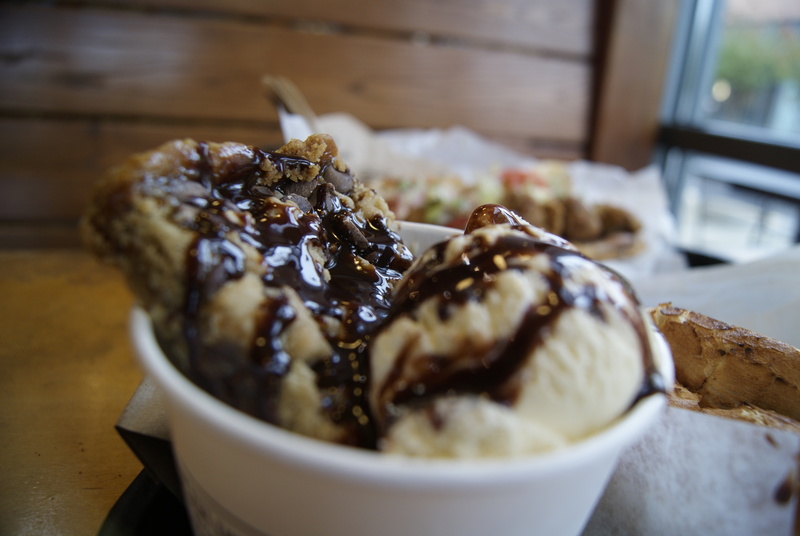 Buy a Dream Bar and have them top it with a scoop of vanilla ice cream and chocolate syrup. Deeelish! A friend introduced me to this underdog sandwich: a classic peanut butter and jelly topped with bacon. Not for people with heart issues, it is a crunchy, salty, sweet option that is good for breakfast or lunch. 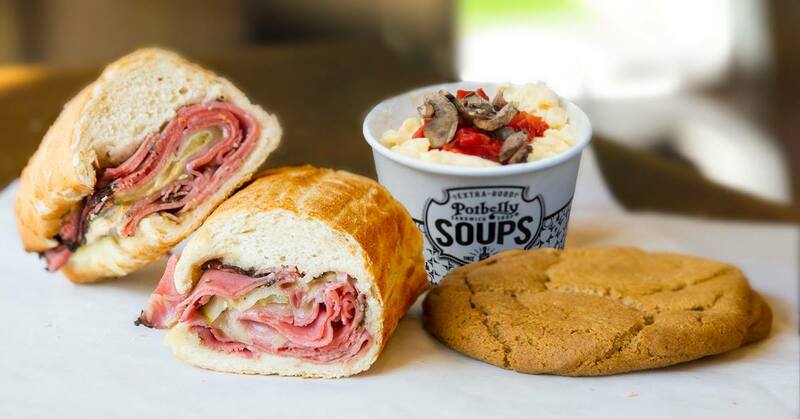 Give it a try -- Potbelly has all the ingredients to make it! 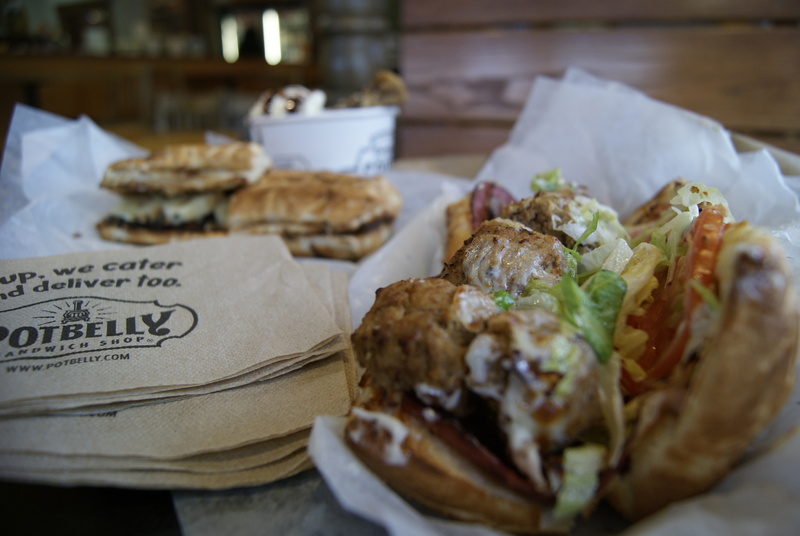 To find the local Potbelly Sandwich Shop near you, visit the store locator. They have stores all over the country -- try one of these secret menu items if you go! 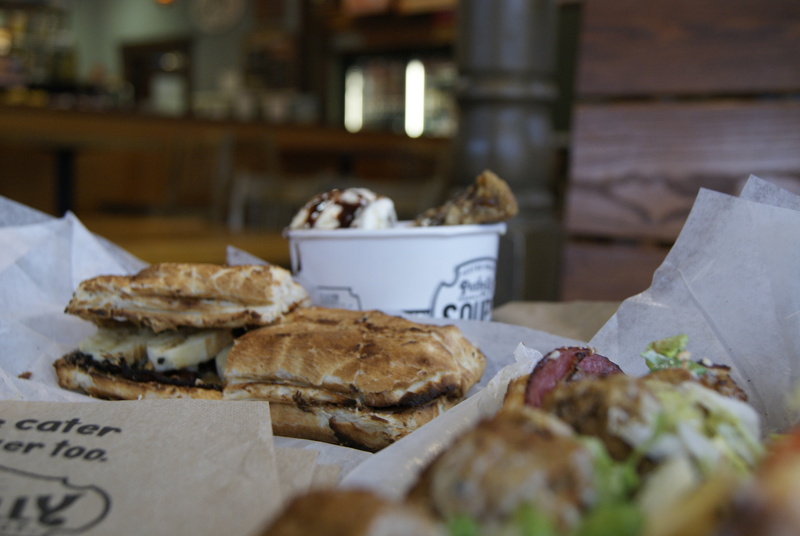 Do you have a secret menu hack that you like to use at Potbelly? Let us know in the comments below! Like our Secret Menu Hacks? Check out our "Five Guys" edition here!